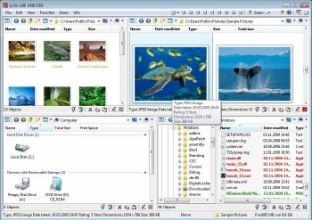 Q-Dir makes your files and folders easy to manage. Fast and easy access, with an amazing Quadro-View technique. You don´t have to renounce the usual, Drag and Drop, all Views, and other functions of your system. No! Q-Dir gives you other nice functions, that make you happy. One can save many hand moves and also time.